Most of us have thought at one time or another what it would be like to hear the words, “It’s cancer.” We can imagine the fear, pain and physical toll on the body. We know what a dreadful disease cancer is because unfortunately, we probably know someone who has endured it. 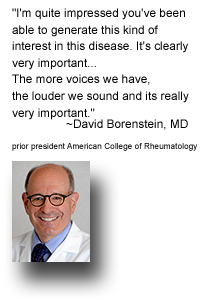 In contrast, most of us have never considered what a diagnosis of Rheumatoid Disease means. I certainly didn’t until my doctor began to suspect it. By the time he talked me into the blood test for it, I had done some research. When the diagnosis came, I shed many tears. As I lay in bed that night, I cried because of the uncertainty. I cried because I knew that my risk of heart disease had just doubled, my risk of cancer was increased, and I knew that one of the leading causes of disability is arthritis (the most commonly known term for Rheumatoid Disease). I cried because I had learned that this disease is not something that affects only the joints, but that it is a systemic disease process, often treated with medications (including forms of chemotherapy) that wreak their own form of havoc on the body. I cried because I could not imagine living the rest of my life in the amount of pain I was in. And I cried because there is currently no cure and I have two daughters who I pray never develop it. The one shining hope that I have clung to in the year and a half since I was diagnosed with this “invisible disease” is the amazing rheumatoid patient community – this community has been formally brought together by the Rheumatoid Patient Foundation. 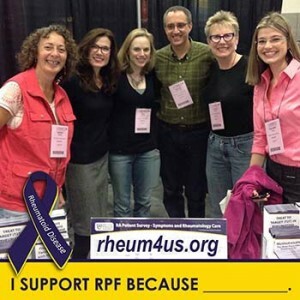 RPF is the ONLY organization devoted SOLELY to the concerns of patients with Rheumatoid Disease. 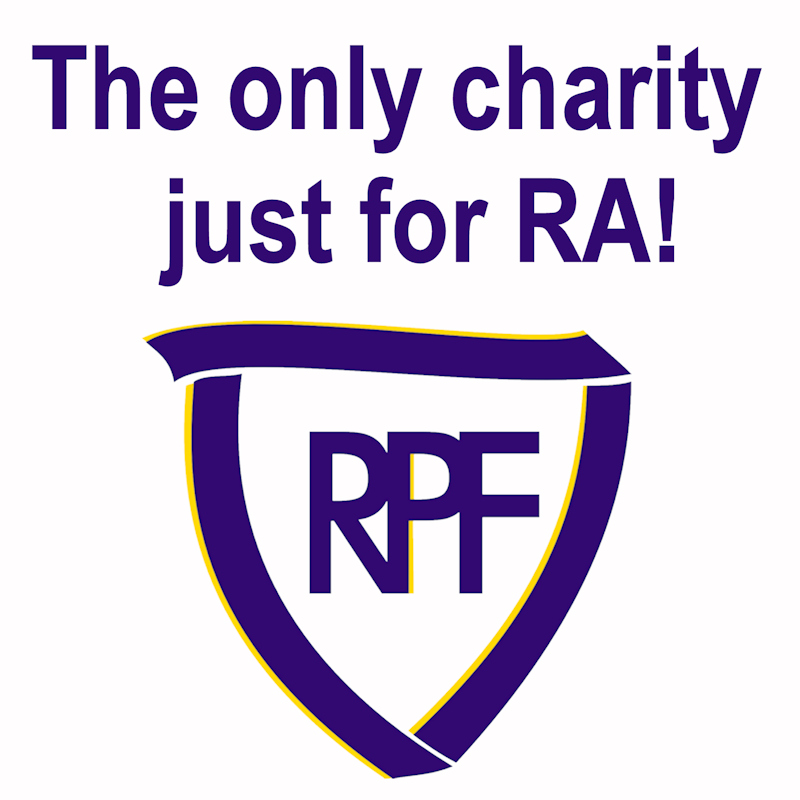 • The RPF is the only charity just for Rheumatoid Disease. • RPF is a non-profit organization by patients, for patients. • Our vision is a world where no one suffers from rheumatoid disease: help our vision become a reality. • We support patient-driven research. Click here to become a Member - add your voice -- together, we can do more! 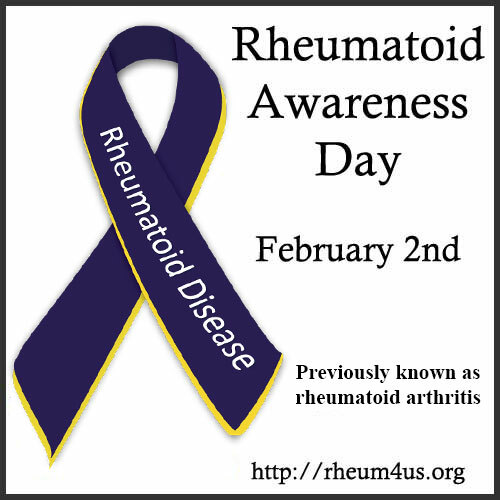 If you’re not convinced yet, do some research at http://www.rheum4us.org/ and then imagine what you might feel if the doctor said to your loved one: “It’s rheumatoid disease.” Thank you for considering to support us in the fight.